Cryosurgery is where extreme cold temperatures are used to destroy abnormal, infected or diseased tissue. It is often used to treat skin conditions such as skin tags, cysts and some tumours. It does this by destroying the cells of the target tissue, and temporarily numbing the surrounding sensory nerves. As a result, this reduces pain and discomfort for the patient. Due to the low temperatures used, bacteria are also killed, which may be particularly beneficial in infected tissue. 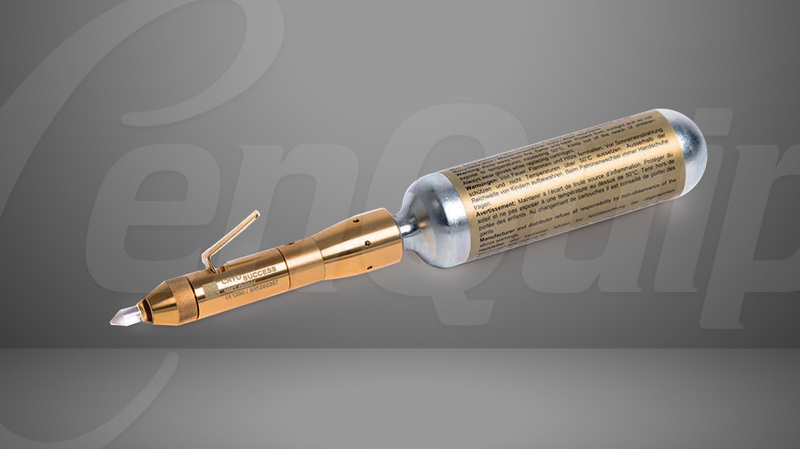 The CryoSuccess features a safety release valve which enables the user to disconnect the cartridge without wasting gas. For more information on the cryosuccess click here.